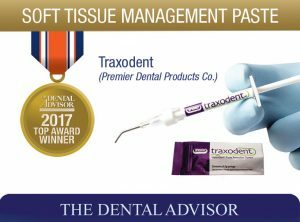 Traxodent Hemodent Paste Retraction System is a 15% aluminum chloride topical gingival retraction paste, formulated to provide gingival retraction and hemostasis. It is intended for use prior to taking an impression, cementation, cavity preparation or wherever hemostasis and retraction are required. 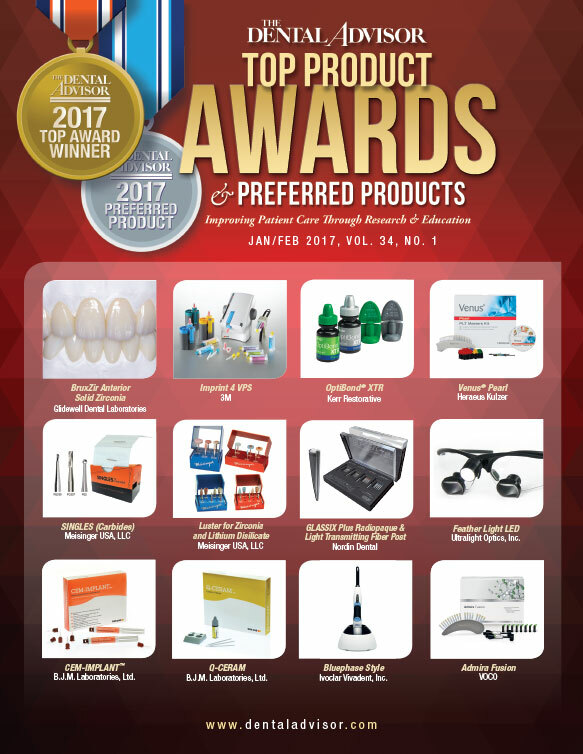 The Starter Pack includes seven syringes of Traxodent, 15 Bendable applicator tips, manufacturer’s instructions, cotton retraction caps and T-LOC™ Triple Tray® samples, the Value Pack contains 25 syringes, 50 applicator tips, manufacturer’s instructions and T-LOC and retraction cap samples. The Premier Retraction Caps are hollow cotton caps designed to enhance gingival retraction and assist hemostasis. Caps are available in three sizes: size 5 (large), size 3 (medium), and size 1 (small). Twenty-one consultants utilized this product. 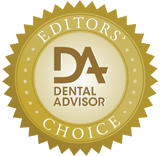 Traxodent received a 91% clinical rating.